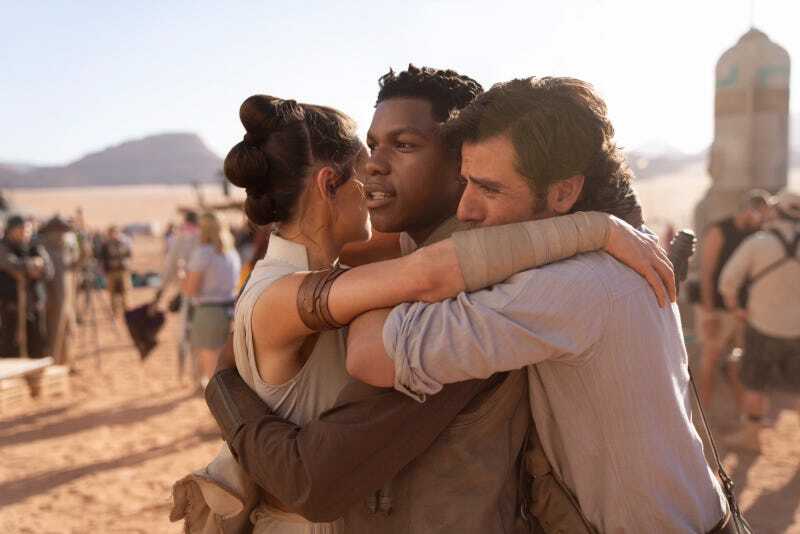 Director J.J. Abrams commemorated the end of shooting the final film in the Skywalker saga (which began way back on August 1) with the following tweet and emotional photo showing cast members Daisy Ridley, John Boyega and Oscar Issac embracing on set. And, as of publication, that’s all we have in regards to official information and photos for the new Star Wars film. But, the last few movies have announced their titles as production ended so it’s fair to guess a title reveal is coming soon and probably much more by the time we get to April and Star Wars Celebration in Chicago. Star Wars: Episode IX opens December 20 and we’ll have much more soon. This post was updated after publication to add Boyega’s tweet.